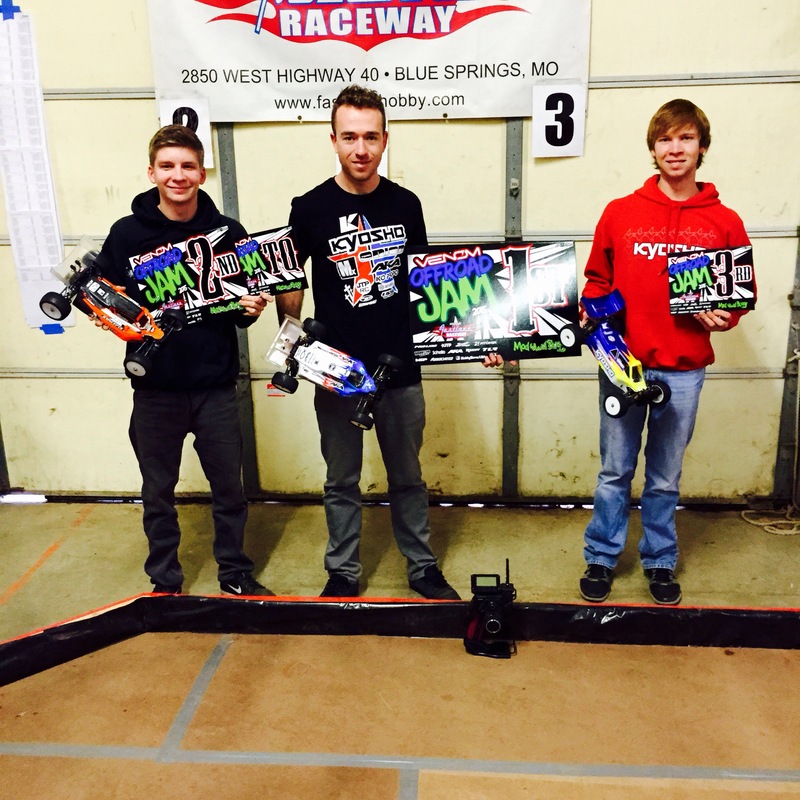 2015 is the first year I could attend this annual race, The Jam, which is at my local track, Fastlane raceway. 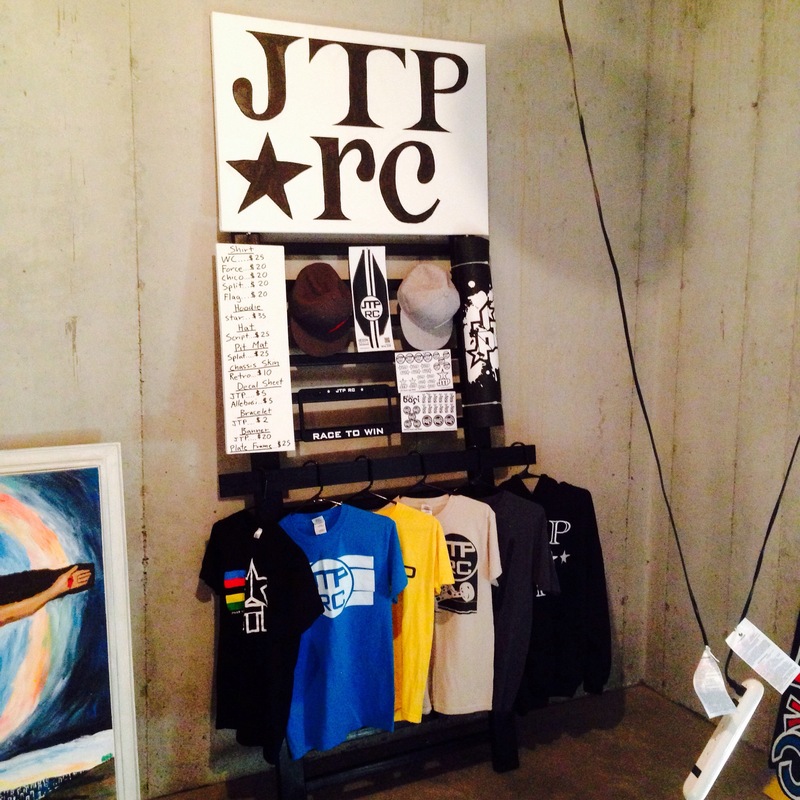 JTP RC was also able to be a race sponsor, which is a first for JTP RC. I built a new display to showcase my products this weekend. Friday was practice, Saturday was three rounds of qualifying, then Sunday would be single A mains with bump ups. My cars felt great in practice and I was ready to get qualifying started. The race had a great turnout, with 25 heats in qualifying. I raced 2wd mod buggy, and 4wd mod buggy, with 2wd being the first class up for me. 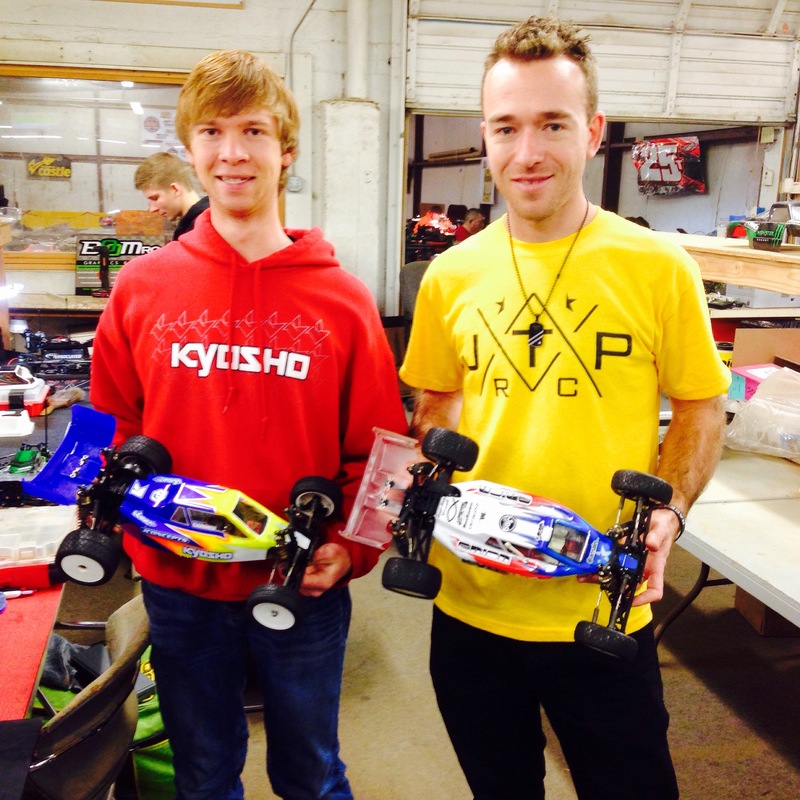 My KYOSHO teammate Mitchel Gardner had a great run right before my heat was up. My car was awesome, and I had a clean run to take the Q1 TQ and start out my day great. 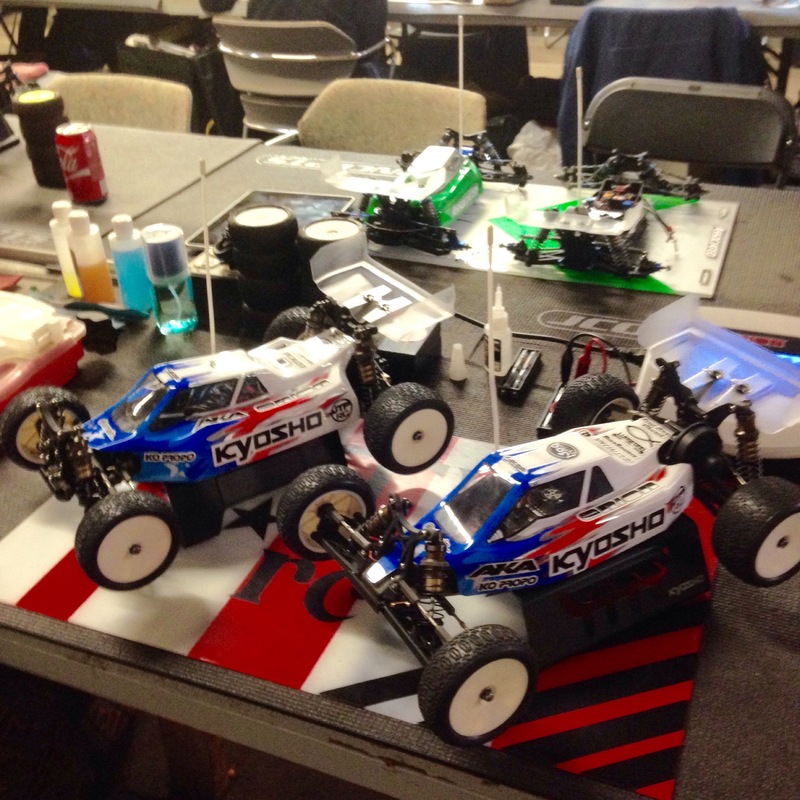 Kyosho 1 and 2. 4wd wasn’t as smooth as I made a mistake, then got caught in a traffic pileup. I missed out on TQ by half a second. Q2 of 2wd was another great run. My car was feeling awesome and I just drove a clean 5 minutes to take another TQ and lock up the overall TQ. 4wd was another tough run. I crashed on my first lap, and was playing catch up the whole race. With around 1 minute left in the heat, a car crashed at the end of the straight, a turn marshal jumped out to get it and before I could realize it, I hit the marshal full speed and exploded my front end. It was a racing incident, but it did take my chance of overall TQ away. Q3 of 2wd was great again. I’ve been loving my Kyosho RB6 lately, and it practically drives itself. Took another TQ in the final qualifier. 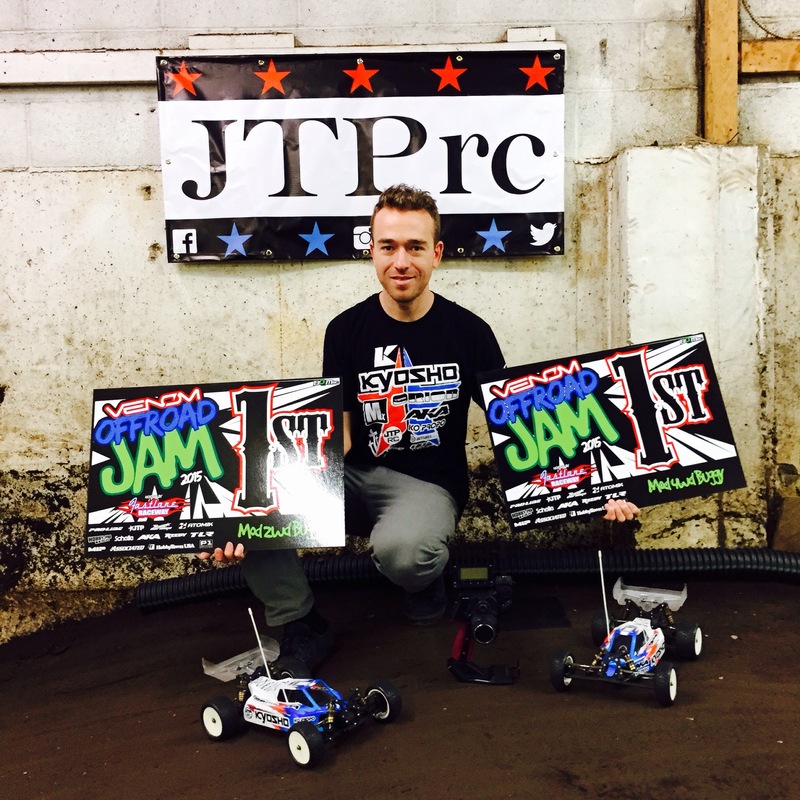 I needed to finish my last qualifier in 4wd to get into the main, but I also wanted to push hard to get a TQ. Me, Nick Gibson, and Mitchel Gardner were all pushing hard and flying. For about 4 minutes of the qualifier all 3 of us were within the same second. 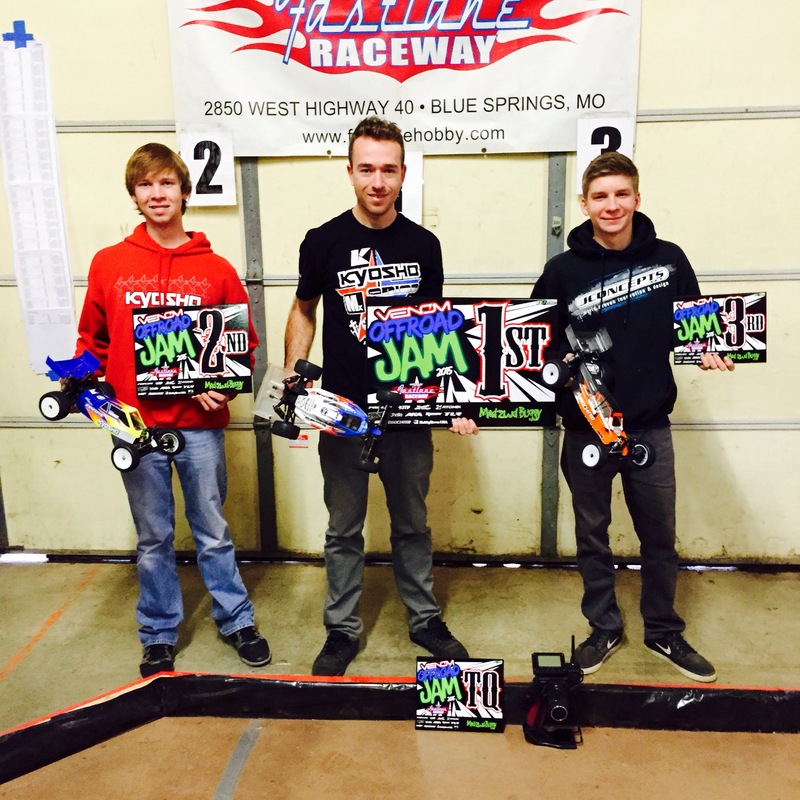 Both Nick and Mitchel bobbled at the end, and I took the Q3 TQ and locked up 2nd overall. 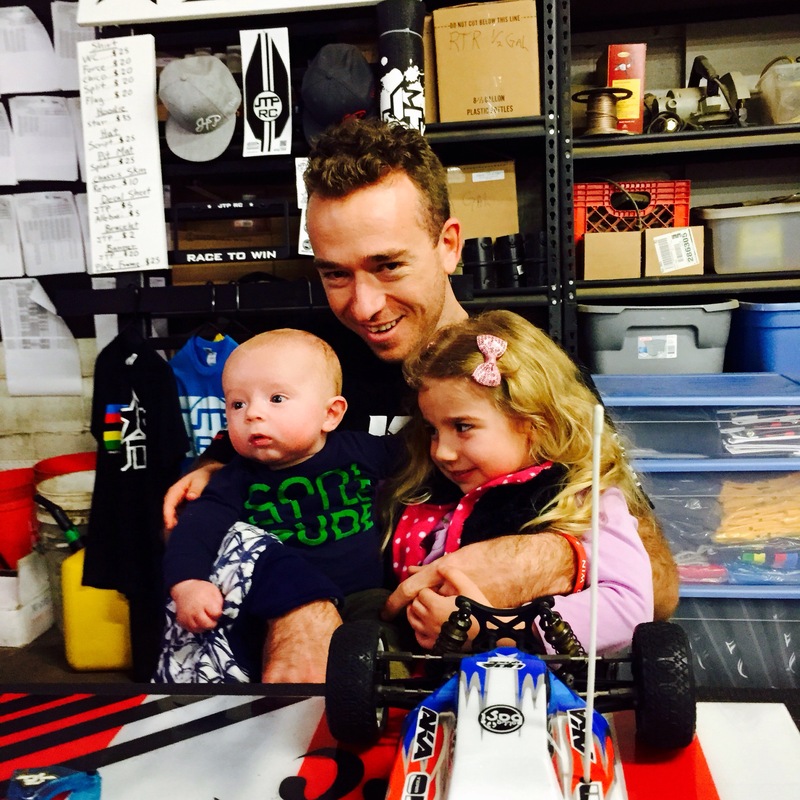 Sunday I had both my kiddos at the track to cheer me on. The mains were just a six minute single A main, with the first main being 2wd. I had my Kyosho teammate starting behind me, and he was glued on me for the first couple minutes. I started the race not driving too good, but I was able to stay in the lead, then halfway through I pulled a lead and took a tone to tone win. The 4wd mod buggy A main was the last race of the event. Nick Gibson was starting on the TQ spot, but I was starting in 2nd. We both got off to a good start, and my plan was to drive really close to him, tap his car as many times as I could, and make him nervous. I was staying very close to him, and he was driving great. With about 2 minutes left, he finally made a mistake, clipped a pipe, but I got stuck with his car. I got the bad end of the turn marshal, and found myself two seconds back with two minutes left. I started to push hard and was doing really fast laps, but so was Nick. With one minute to go, he clipped another pipe and crashed, I made sure to not get collected, and took the lead. I pushed hard to the end and took the win. It was a really fun weekend and I’m happy to take both wins. Thanks to Kyosho, Orion, AKA, Ko Propo, Mx, Amain.com, Upgrade-RC, Lunsford, TD Paint, MIP, LiveRC.com, Bike Source, Specialized, Rock Brook Church, my family, my fans, and the Good Lord Jesus Christ. Hey would ya mind posting ur setups 🙂 specifically rb6 thanks alot! I too, would be interested if there were setup changes due to different tires than the Reedy Race. Great job Jared!!! Hi Jared. Would u mind sharing ur setups from this track. Was just saying that you probably weren’t gonna post the setup if you hadn’t already you r usually pretty on it. They were very similar to my Reedy setups. I will try to post them after this week.